The building at 10 Mosley Street was a plain nineteenth century unlisted structure situated between two Grade II listed buildings, No 8 built in 1906 and No 12 in 1891. 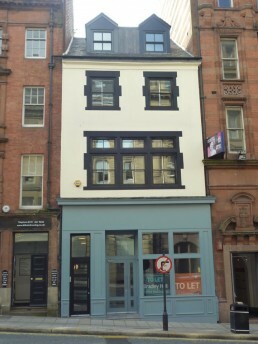 The brief was to refurbish the property to provide a commercial premesis in the ground floor and basement with the floors above being converted into lettable residential accommodation. 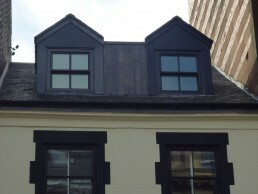 The building could not be extended on plan with the only possibility being to build the rear offshot upwards and introduce dormer windows to the third floor to improve the potential of this floor. The final major constraint was the location of the site itself and the difficulty of site access, delivery, storage and the carrying out of the works. 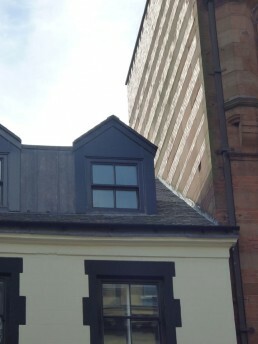 The existing building, both to the front and rear was in a poor state of repair with an unsympathetic shop front given the significance of its location. By replacing the shop front with a more appropriate design the building at ground level onto Mosley Street is opened up with more light in and view out. 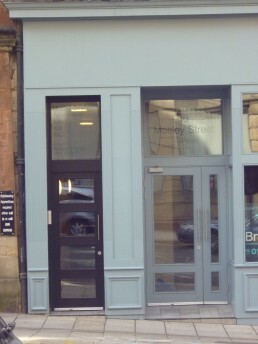 The first and second floor, both of which contain two bedroom flats, retains the existing refurbished exterior onto Mosley Street. 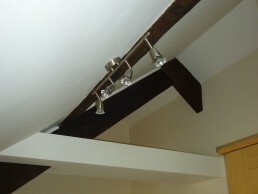 By retaining the existing timber trusses to the third floor and opening up the potential space by the inclusion of dormer windows to both front and rear this floor now houses a single bedroom flat. The scheme was shortlisted for the Lord Mayor’s Design Awards 2013.